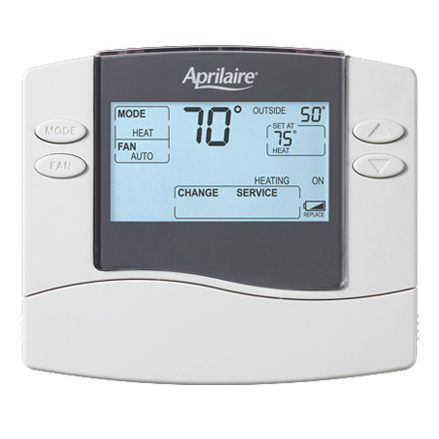 Don’t let uneven room temperatures become a point of discontent in your home. 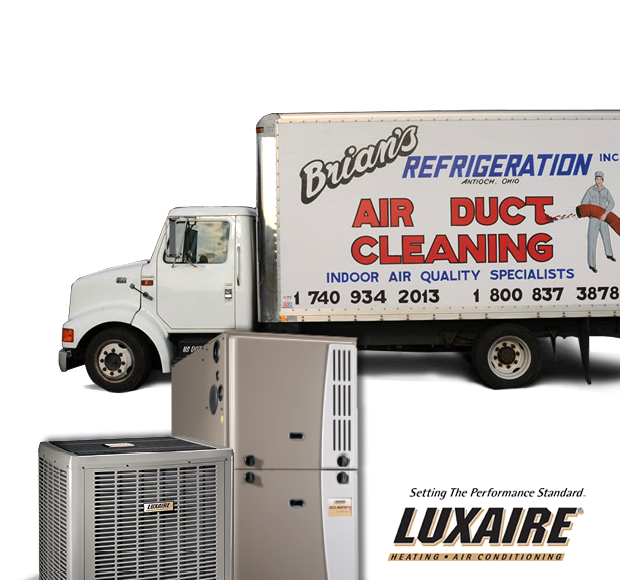 Allow Brian's Refrigeration to fix problem areas by with a new thermostat or zoning system that will ensure comfort in any room at any time. 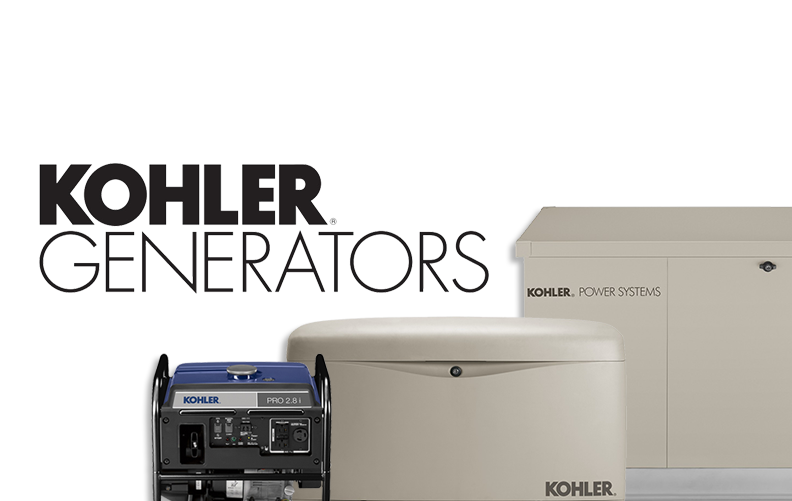 Rely on us to restore peace and comfort to your happy abode! 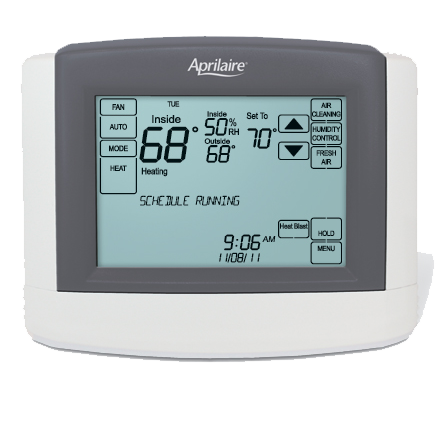 Clean and simple, the Aprilaire Wi-Fi Thermostat App has intuitive temperature control features designed so anyone can understand and use them to effectively deliver comfort and energy savings. But that’s not all. 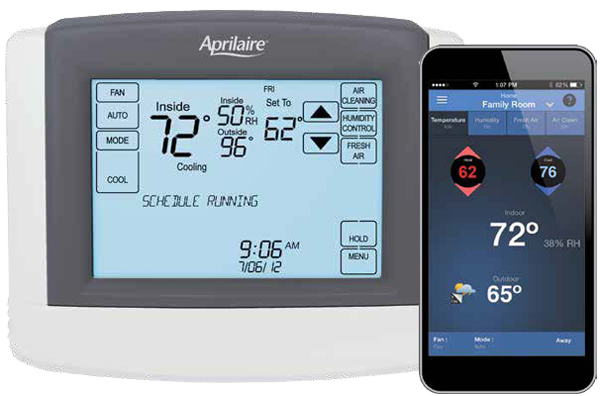 Aprilaire, the #1 provider of indoor air quality solutions, also offers IAQ Control: the ability to balance all aspects of indoor air quality, including Temperature, Humidity, Air Purity and Fresh Air – from anywhere with a smart phone device! with a 100% satisfaction guarantee.